Winter is finally over. 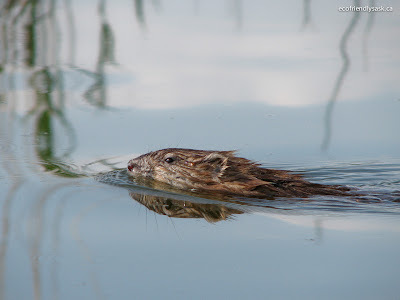 Here’s a muskrat photograph to join you in greeting the warmer weather. Just follow the instructions outlined below to download the photograph to your computer as background or desktop wallpaper. 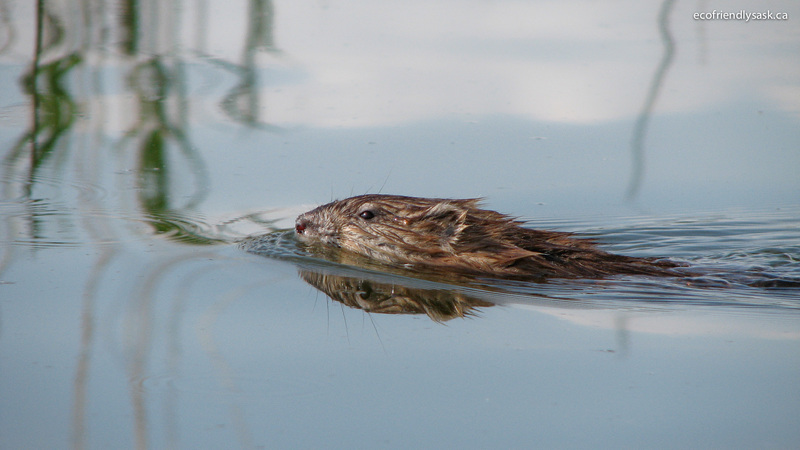 Muskrats’ thick, waterproof fur makes gives them added buoyancy. They can remain submerged for up to 15 minutes, and their teeth are modified so that they can chew underwater. Cattails are their preferred food item. Muskrats mate following spring break-up, and litters of 5-10 young are born one month later. The same female normally has another litter a month after the first, and sometimes yet another one month later. The young develop rapidly and are capable swimmers and divers by the time they are three weeks old. By four weeks, they are independent of their parents.